I'm a total sucker for anything flying those HRC colors, and I am not alone. Good idea. What does the admin say? A buddy of mine has has one, '84 I think. He really wanted one in the HRC colors, but finding one in decent condition and a price he wanted to pay proved to hard. Very cold blooded engine. Cammy sounding even at idle. Fun bike to ride. Certainly one of the best that Honda produced during the 80's. Thank you to Harley for helping create a sub model classic. Right here works for me. SWEET ride. Looks great. I'm sure you've seen this before but the old Honda commercials were great. Thanks Superbikeplanet for the high quality version! 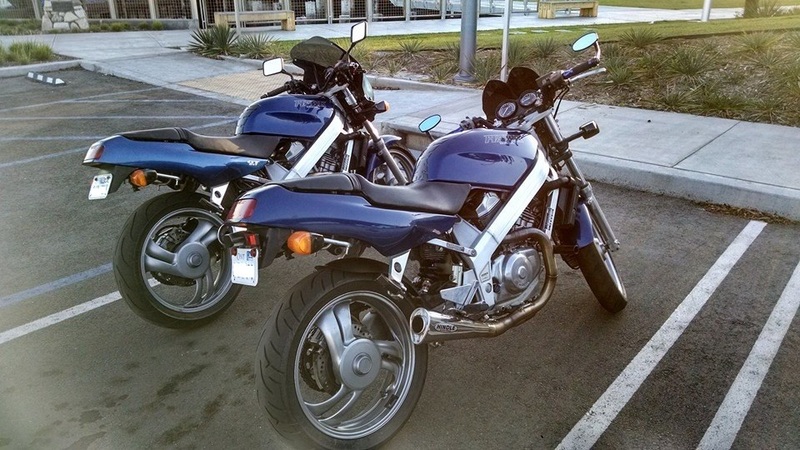 I was at the service counter and a guy came in with a silver CB700SC Nighthawk. Of course I had to run out and talk to the guy. I said "I have never seen a Nighthawk that color" and he said "look at the other side." The revers side was red white and blue. 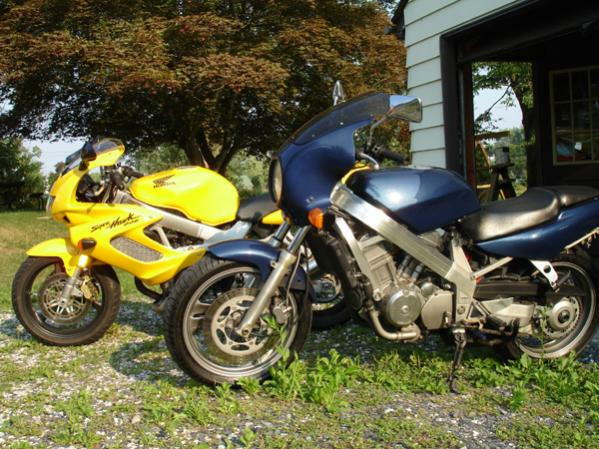 He found the bike leaning up against a garage and one side was completely bleached by the sun. 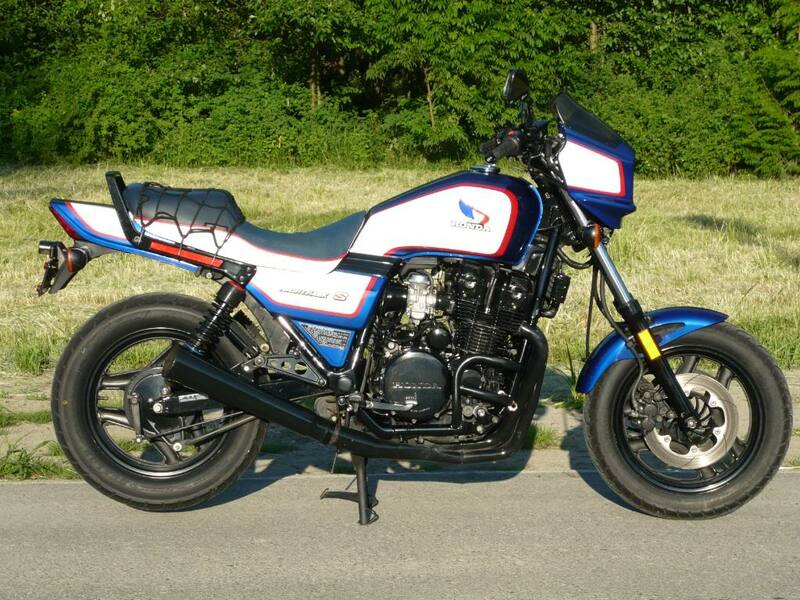 I thought I would post this beautiful little gem of a CB400 Super Sport. This was at the dealership one Saturday for a safety inspection. It was perfect. 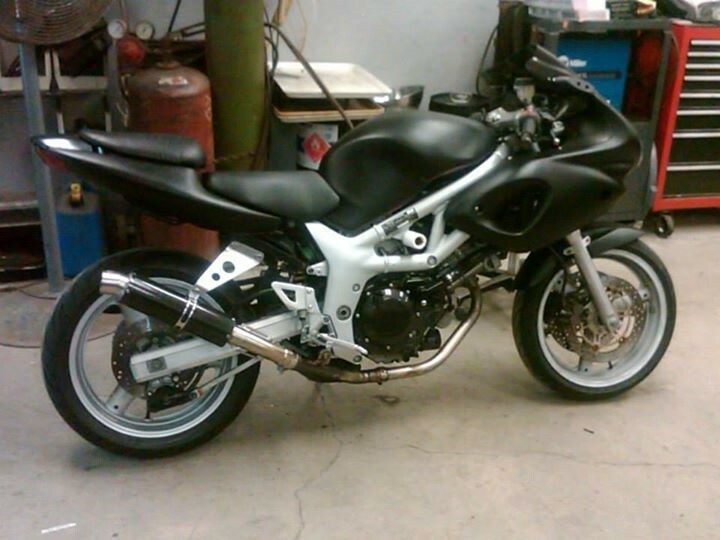 When I was 17 I had a SL125 and I thought this was the perfect bike for me. I lusted after the 400 when I was a young man. I think that this is one of Honda's best. I believe that the first Superhawk was based on this chassis. that's a great looking bike! what model is it? Superhawks go back a bit further (60's), but it's an NT650 ('88-'91). Great lil' chasis. Always wished I could have kept them both. Last edited by Wolverine; 03-03-2015 at 07:07 AM. One of my buddies has a mint '88 Hawk GT, (NT650). Hey Bustin, I assume you have seen this video of Fast Freddie Spencer on the nighthawk? One of my favs. Nice bikes, Maniac. 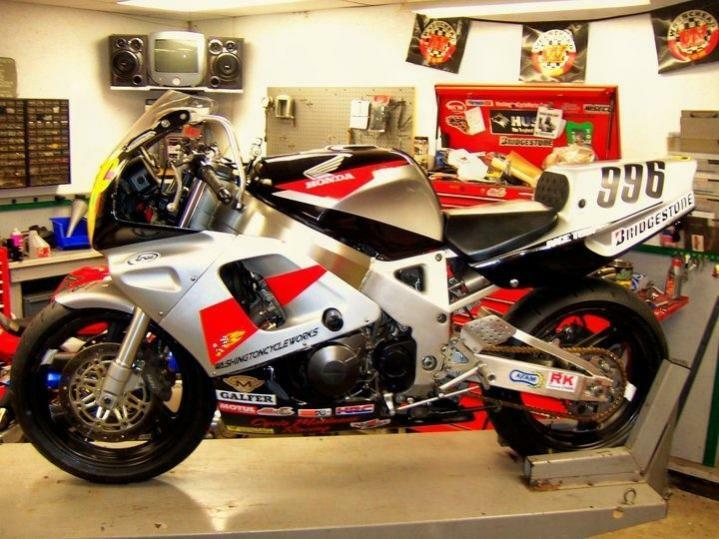 A friend of mine squeezed a Hayabusa motor into a GSX-R750 frame , and it was ridiculously fast. Still looked like a stock 750, too. 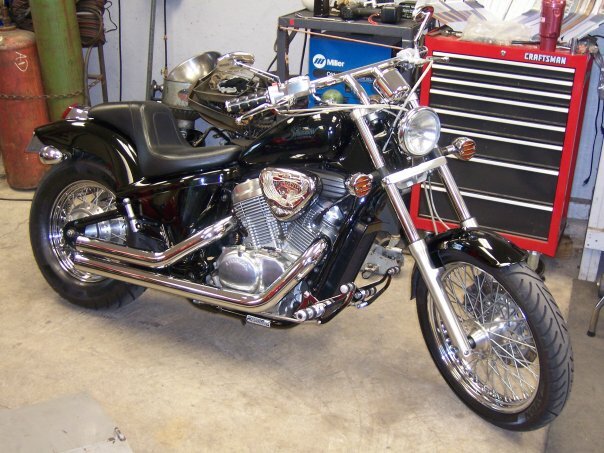 That's a Honda Sabre, V4, same as the first gen interceptor 700. Fast Freddie wasn't riding it. Seen it before, but its too bad the quality is so poor. @Matt fun to see you also got a hawk, and a I4, and a Dirtbike guessing the hawk is your daily driver and the cbr and crf toys like me ? Last edited by RoadManiac; 03-04-2015 at 03:12 PM. 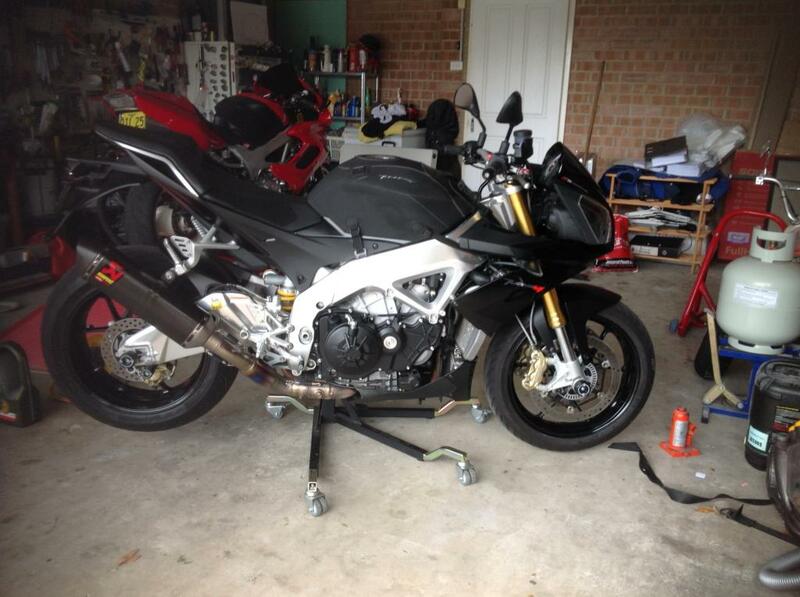 The CBR has been sitting for a bit. 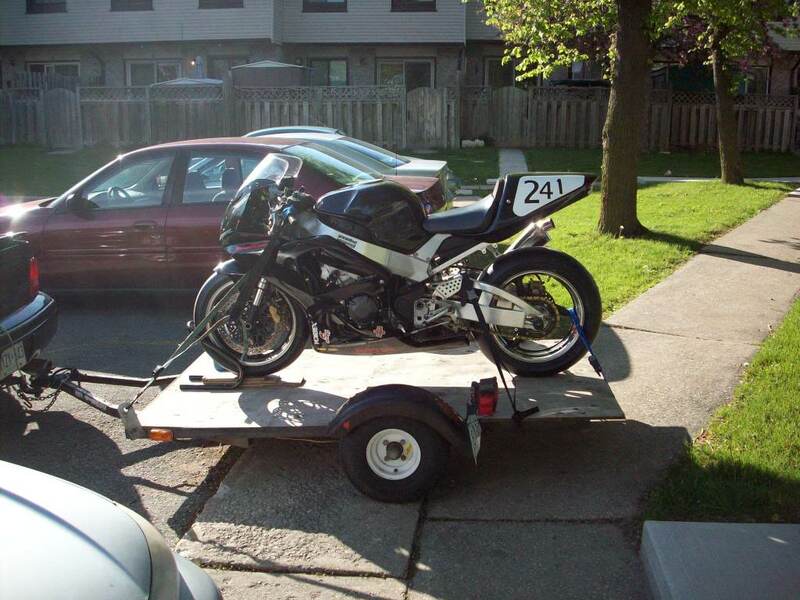 I used it as my trackbike for a couple years. Not as much useable on-road power as the VTR. Its no fun to ride a fast bike slow. 1976 XS500c with 10,00km on the clock. 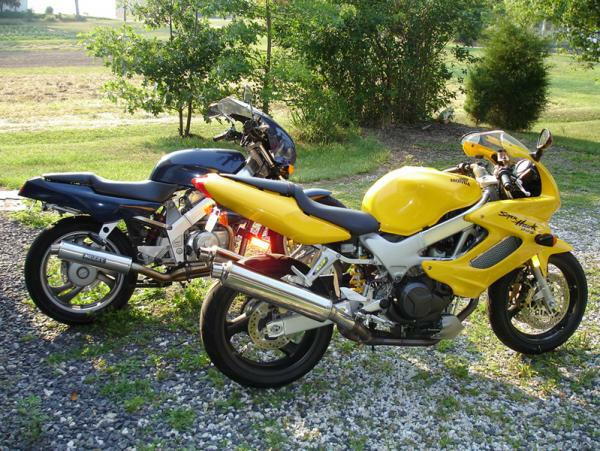 I wish that I had photos of all the bikes I've owned. There have been some crackers. 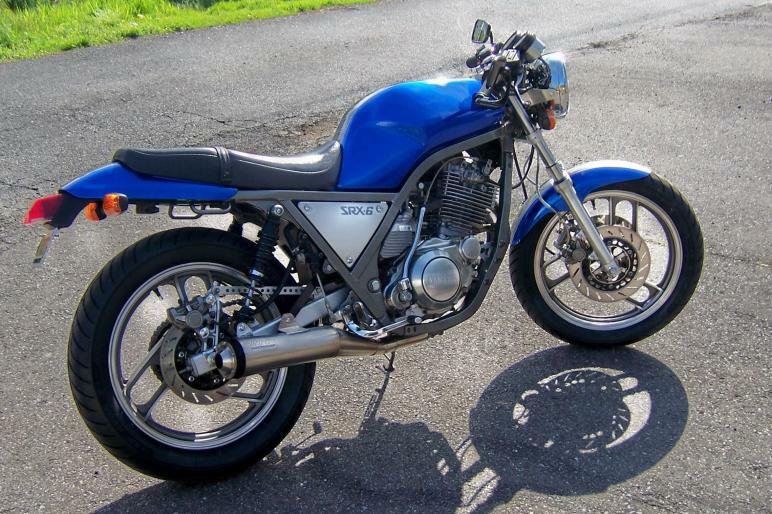 One of my all time favs was the Suzuki G.T 750 water bottle. I had a 3 into one Hanco expansion chamber on it and if I pulled up behind a car and shifted down a gear and opened her up as I passed the car they would swerve the bloody thing was so loud. Fast forward 30 years and this is the current distraction besides the VTR. And you know what? 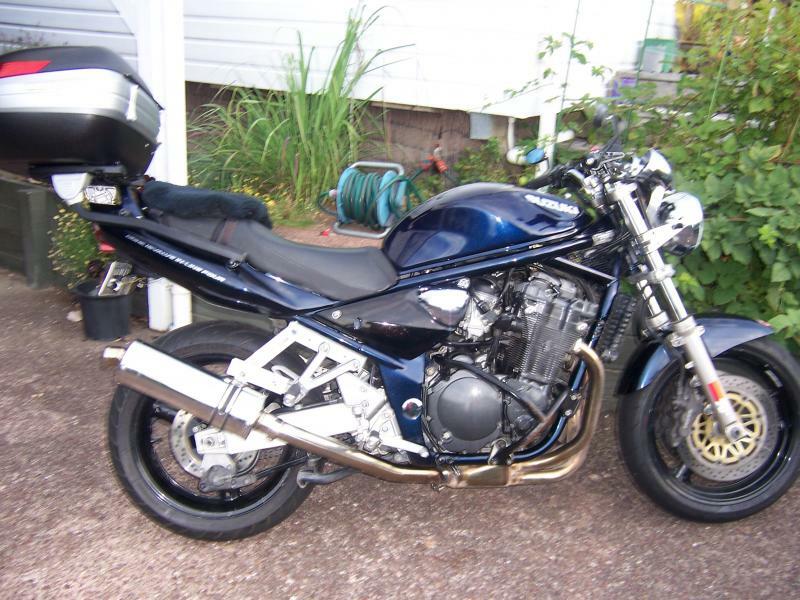 The VTR is still a better all round real world bike. The biggest difference once you get past all the technology is that the VTR is a thrashable bike that you can ring the neck off whereas the Tuono has more power than you can utilise on the road in a fashion that won't send you to jail. Tuono is on my short list. That V-4 growl, and a comfortable street riding position. 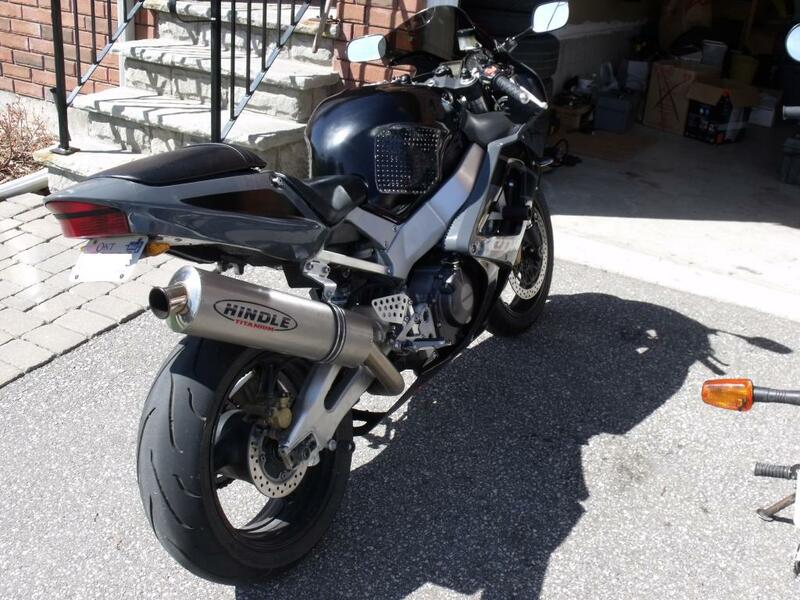 I like my VTR because if I crash it, I won't be happy, but I won't be losing a ton of money... Great bang for the buck... But I'm lusting after something new. Hard to justify selling off a bunch of older bikes that I can't really get much for. That's pretty much why I keep what I have. That SRX is seriously cool. The SRX reminds me of a story. Yeas ago I had a riding buddy Jerry. He was as mad about bikes as I was and he had money so he had a lot of bikes. He owned a beautiful Yamaha SRX600. One day he had it out riding around White Rock lake in Dallas. It is a beautiful area with lots of open fields and parks. He had his helmet visor open and all of a sudden a kite, swooped low over the road and the string went across his path. He hit it and it landed just under his nose. The string proceeded to then try and saw his nose off his face. For a split second he figured it would break but it didn't. He was trying to stop put the string was pulling his head up and his hands away from the controls. He finally fell over just to keep his nose. He was cut pretty badly and the bike was scratched up too. This was probably the most unusual motorcycle crash ever. Jim thats pretty crazy! Whats crazier is that nearly happened to me on the hawk last week only it ended a little better! I was slowly cruising the lakefront on Michigan when I noticed a low flying kite cruising along with a large fella running far behind it, helplessly chasing it across the park. Instead of being close-lined by the kite line after it crossed the road right in front of me, i was able to slow down and stop just as the handle came skipping along in front of me. I stopped the front wheel RIGHT on the handle, effectively stopping the kite and held it there until the big guy caught up and took it back. Now thats something you dont see a superhawk do everyday! Now those are two crazy stories! thanks. I did it up back in '09. my Dad bought it new in '88. I've owned it since '94. 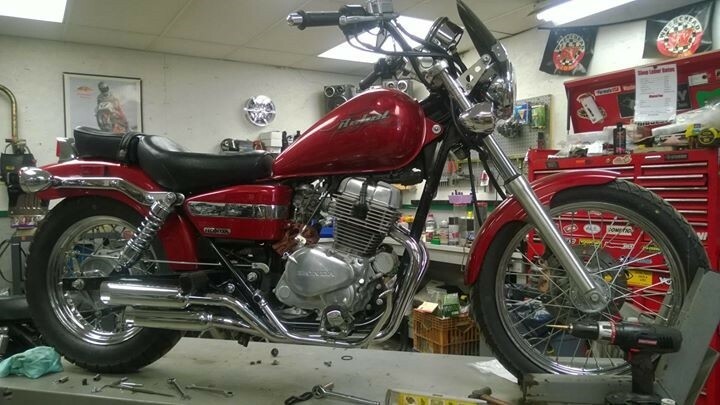 Was restoring it for Dad when he passed.I shelved the project for 5 yrs, then decided it was time. She is a gem. 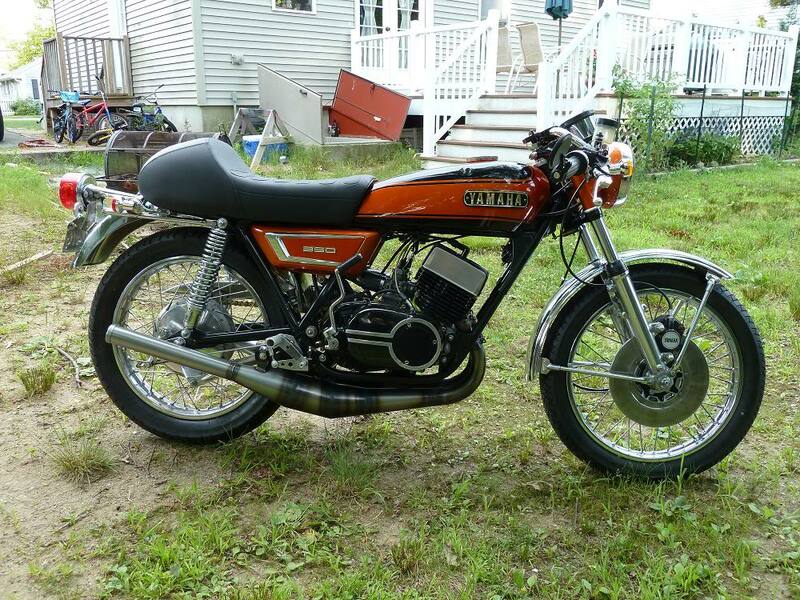 This is my 1972 Yamaha R5 350, bought it at an auction in 2010 with 2 blown pistons for $700. Tore it down to nuts and bolts, cleaned it up, updated and fabbed a few things and got it back together in 2012. What a blast around town, a little rough on the wrists (and ears), makes the Hawk feel like a Caddy. 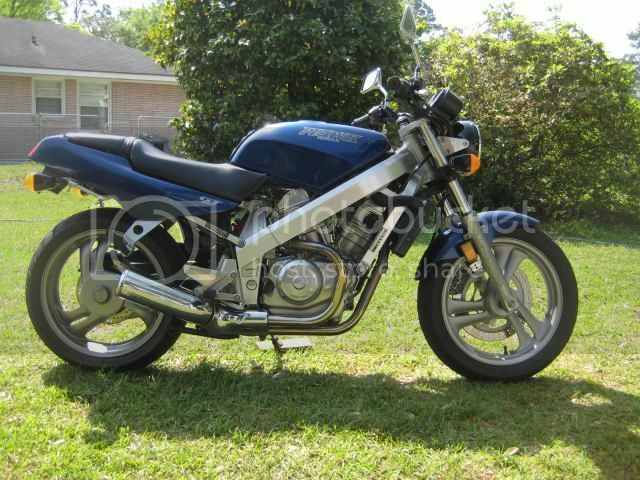 Just picked up this Bandit 1200 for next to nothing with a Holeshot jet kit and can. Goes well. My everyday bike for pillion work and work. 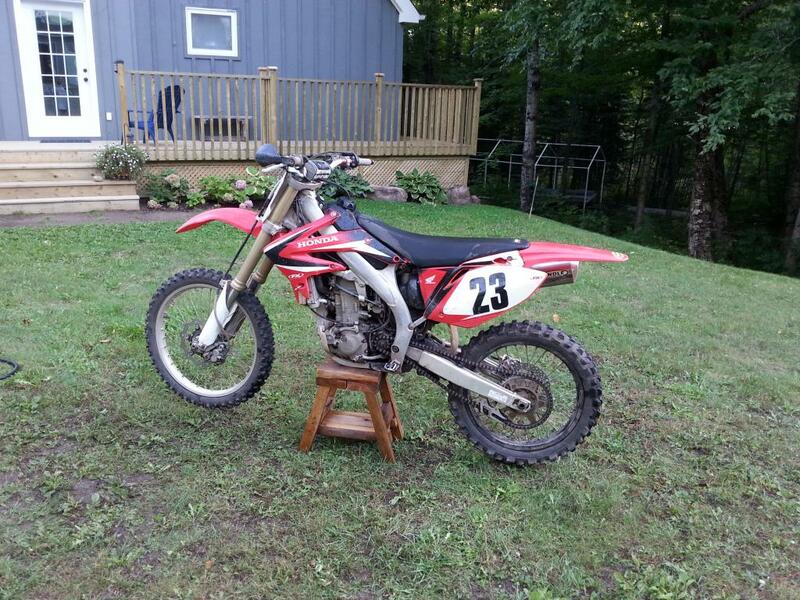 I also have a 06 KDX200 with KX125 forks for trail duties. That is one sweet machine. If she runs as well as she looks....you're a lucky man! Quick Reply: Do we have an "other bikes besides the SH" section ?